Dr. Milt has over thirty five years of experience in the field of Veterinary Medicine, both as a large and small animal practitioner. He grew up near a major race track grooming and walking hots off the racetrack as a kid in addition to working his way through college milking cows at the nearby university. Dr. Milt graduated from the University of Georgia in 1969 and served in the Army and the Public Health Service for over 30 years. Prior to retiring from the U.S. Public Health Service, Dr. Milt was a Health Science Administrator with the National Institutes of Health. Dr. Milt retired from the Public Health Service in 1995 as a career officer with a wide background in medical research and animal management. He is currently a veterinary consultant for groups involved with veterinary research and product development. Dr. Milt retired from Temple University in 2010 as University Veterinarian and Director of the Animal Resources and was the Attending Veterinarian for the University Health Science Center. Dr. Milt was a member of the Board of the Directors for the Pennsylvania Society for Biomedical Research. Dr. Milt is a Diplomat of the American College of Laboratory Animal Medicine and served on Practitioners Board of Trustees and 10 years on the American Veterinary Medical Association’s Animal Welfare Committee. 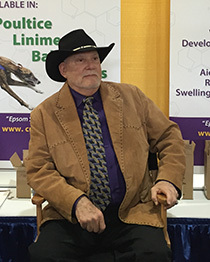 Dr. Milt participates regularly as a veterinary advisor for several teaching institutes and regularly attends continued education seminars and conferences on current trends in large and small animal medicine. Dr. Milt was Delegate to the American Veterinary Medical Association’s governing body for the veterinary profession for 12 years. Dr. Milt’s interests are tailored to animal science, health and program management. He is experienced in assisting clients with animal healthcare, management and expanding teaching endeavors. He assists in preparation and implementation of protocols involving special animal healthcare, medical applications, housing, nutrition, hygiene. He assists in quality control programs to monitor care and use compliance of animals, occupational health and safety procedures, and both animal and human health surveillance. In addition, Dr. Milt currently serves on several different veterinary committees and is an active member of the American and Pennsylvania Veterinary Medical Associations. Dr. Milt has also authored many publications and given numerous professional presentations in the area of animal health and veterinary medicine. Dr. Milt is currently licensed in Pennsylvania and accredited by the PA. and U.S. Depts. of Agriculture.